Hey Coffeeholics! Woohoo! December na! Time to cross off some things from your Christmas Shopping List. So why don't you all head out to the Bloggers United 6 event happening on December 7, Saturday, at the World Trade Center. Yes my dears! 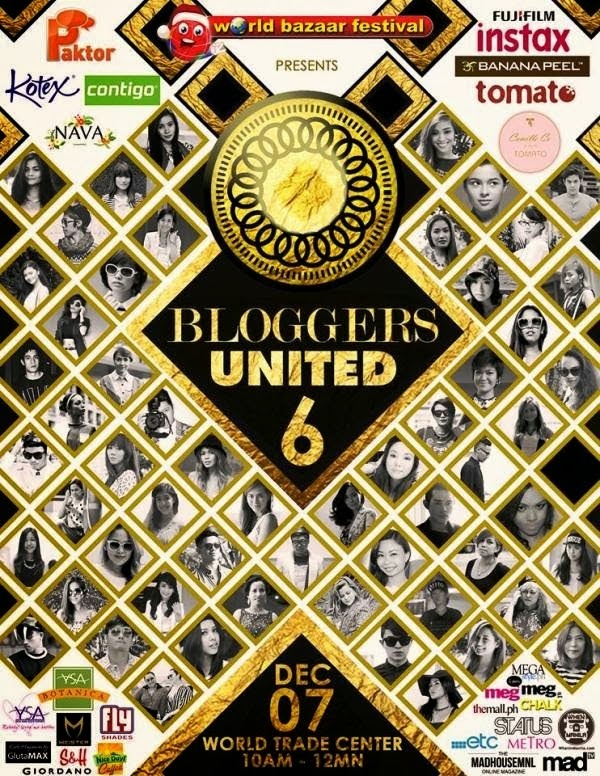 Its the much awaited bi-annual meet, greet, and raid the closets of your favorite bloggers like Camille Co, Laureen Uy, David Guison, Seph Cham, Enciso sisters, Aisa Ipac, and Ana Gonzales and so many more! And just like last BU5, I get to giveaway 10 FREE PASSES to you guys! Who wants to do some early Christmas shopping at BU6?